Although the road to recovery will take time, commitment, and patience, finding treatment for addiction doesn’t have to be frustrating. In fact, with so many treatment options and addiction treatment programs available, seeking treatment for drug addiction could take little to no time at all. Although it is seemingly overwhelming, the various treatment options—recovery groups, inpatient services, outpatient services, and residential programs—provide you or your loved one with the flexibility needed to find a program that works. It’s a myth that insurance doesn’t cover addiction treatment programs. In fact, you may be surprised by what many insurance companies will offer. According to the American Medical Association, alcoholism (alcohol use disorder) and substance addiction (substance use disorder) are recognized as diseases, and therefore, insurance companies must treat them as such in terms of coverage. The easiest way to find out if you have coverage or to locate a treatment center is to call your insurance company. This will give you an idea of what you can afford and how much or which aspects of your treatment will be covered. Although coverage varies, many insurance plans have limits to what they will pay for and may even have requirements pertaining to what you need to do in order to obtain coverage. For example, some plans require that you go to a facility that is in-network and some will not pay for treatment outside of the state that you live. This is why it is crucial to contact your insurance company prior to searching for treatment for addiction. Knowing what type of insurance you have and what it allows will make the process much easier. Health maintenance organizations (HMOs), preferred provider organizations (PPOs), exclusive provider organizations (EPOs), point-of-service (POS) plans, and high-deductible health plans (HDHPs) all offer varying types of coverage. Knowing which plan you are under will help preparations much easier. Regardless of what you may have seen on TV reality shows, you don’t have to travel to Florida or California anymore to find addiction treatment programs. In fact, finding treatment for addiction can be as simple as searching within your own Zip code. Although there was a time when there were few treatment options in the Northeast, the need for additional treatment facilities has been recognized and more and more treatment programs are available across the United States. As mentioned earlier, it is important to contact your insurance provider when seeking treatment for drug addiction in order to determine which facilities are covered under your insurance plan. Although this step is crucial in order to get the maximum amount of coverage available to you, some people choose to search for addiction rehab prior to contacting their insurance and confirming that the facility is covered. While contacting your insurance prior is highly recommended, if you choose to search for a facility first, use the SAMHSA database, which will filter through various treatment centers to locate one within or near your Zip code that offers the assistance you need. All searches are done anonymously and SAMHSA does not collect information provided during your search. 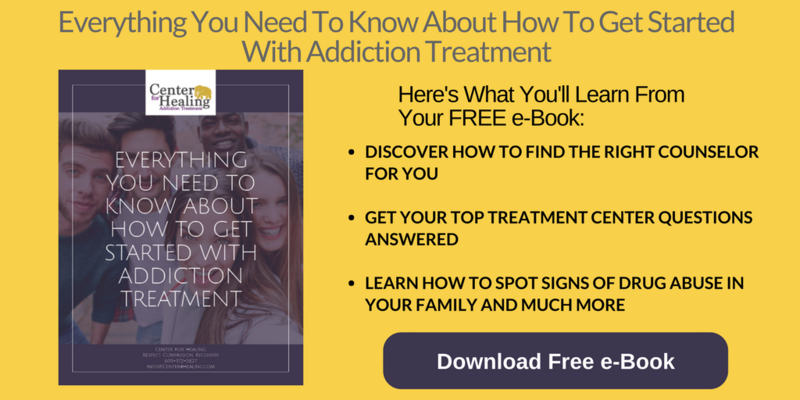 So as you can see, if you’re ready to find an addiction treatment program near you, the process is fairly easy if you work with your insurance company. 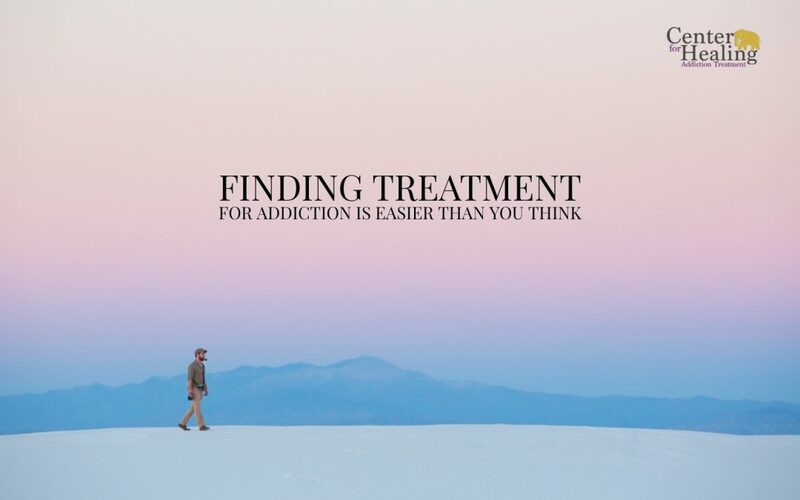 At Center for Healing, we have an excellent team that can be a source of information and provide guidance when it comes to finding an addiction treatment program near you. If you have any questions, please contact our team today.